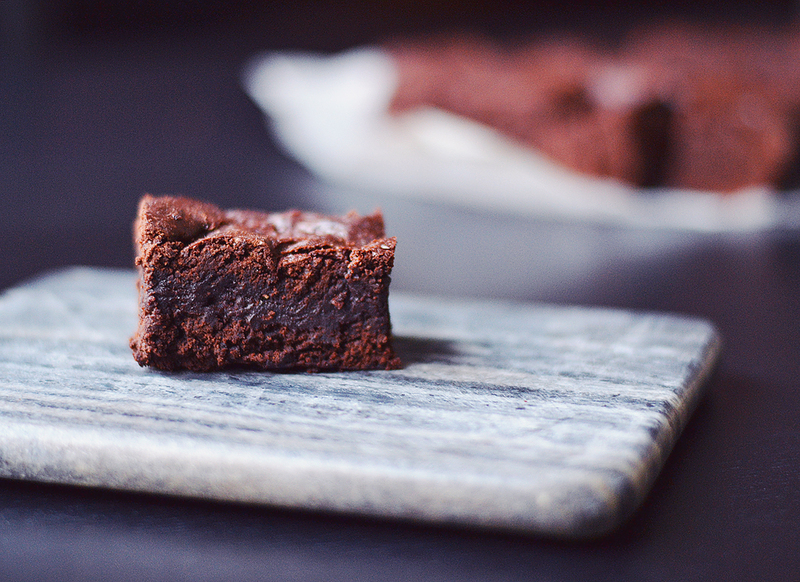 Is it possible to make vegan brownies and get that gooey centre, that crisp outer, and those crunchy corner pieces? Of course it is! 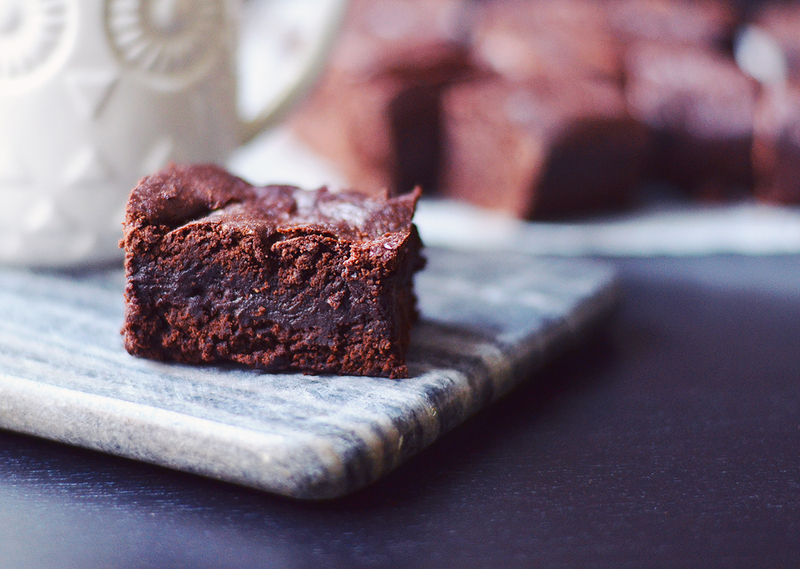 Here’s how to make tasty yum vegan brownies. 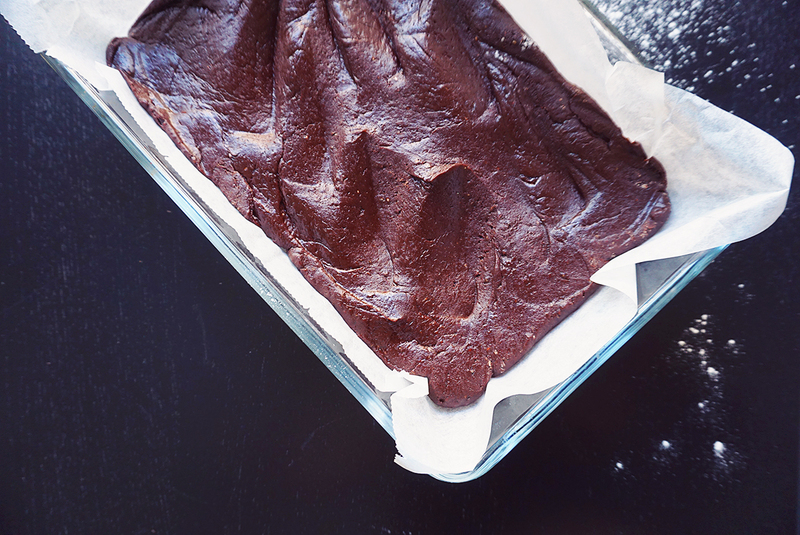 A mission to make the best vegan brownies. And this is just the beginning of it. 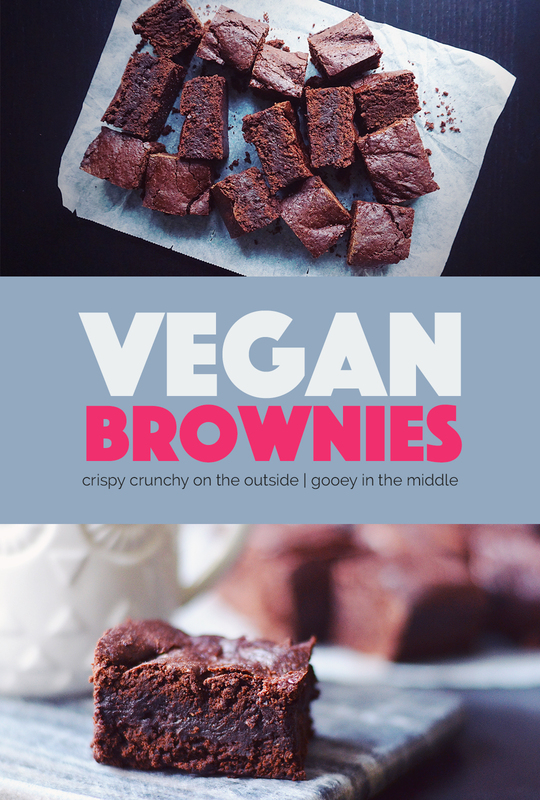 Now, seeing as these vegan brownies already are totally #flawless, then what exactly are my requirements for a best brownie? Ah, well. 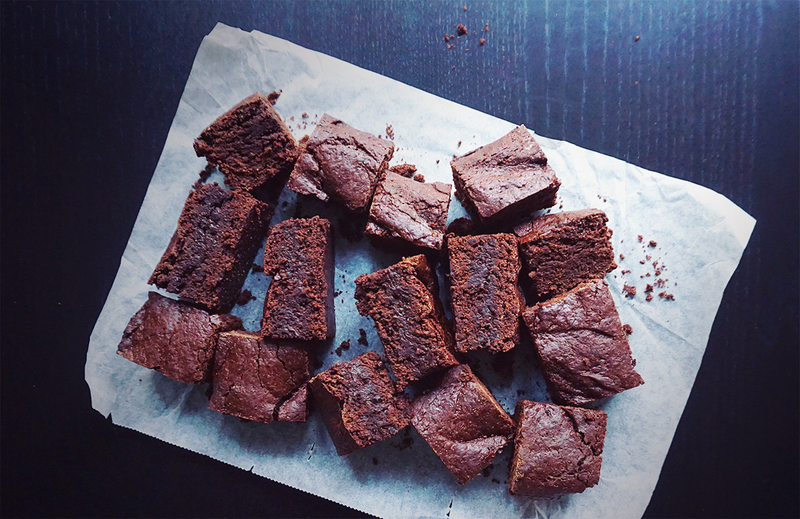 You see, I happened to grow up in a home where brownies were a staple. And nobody makes brownies like my mama. This recipe is 99 percent of all that good stuff, but I intend to make it 100 percent. So while you wait for me to Einstein this into perfectionism, you go ahead and make these. Because, have you looked at the photos? I thought so. Set the oven to 350 F (175 C) and line a oven proof dish with parchment paper (about 5 x 11 inches | 13 x 28 cm). Mix the flour, baking soda and salt in a medium sized bowl, set aside. Stir together the chia seeds and water in a small bowl, set aside. In a large mixing bowl, mix together the remaining ingredients until combined. Add the chia seed mix and beat with an electric beater until completely combined. 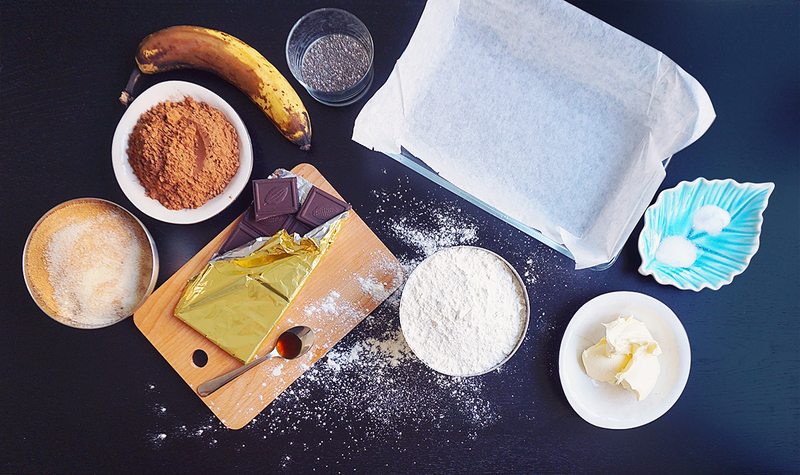 Add the flour to the wet batter and stir together with a spatula or wooden spoon until just combined. The batter will be very thick, more like a dough. Pour the batter into your prepared pan and use a spoon or spatula to press it into the pan, making sure you press it into the corners. Bake in the oven for 25 minutes, allow to cool on a rack before cutting it into squares. Store in an airtight container in the fridge. How do you like your brownies – crunchy on top and chewy in the middle, topped with frosting, in a bowl with vanilla ice cream?